Synopsis: Biotechnology: The Basics and Biotechnology: Beyond the Basics are courses designed to support teachers in their efforts to engage and educate future STEM professionals, improving the STEM pipeline. Synopsis: The HUNCH program was developed by Stacey Hale at the Johnson Space Center in Houston, Texas to get high school students involved in creating actual flight hardware for the space station. There are currently 17 non-critical projects that will make life on the space station a little easier for the crew in some way. The HUNCH program at PHS meets weekly for an hour and a half on Monday nights to create a prototype that meets their design criteria. We will go through a Preliminary Design Review in January and a Critical Design Review in March where the top projects from around the country will be selected and invited to Houston, TX to present to technicians and crew for possible integration into the space station. Synopsis: The Central High School STEM Aviation Program is designed to inspire the next generation of aviation leaders. We provide students with an experiential education that excites, engages, and enriches through a unique, learn-by-doing curriculum focused around aviation. Synopsis: Crossroads will orchestrate a series of educational events, classes, workshops, viewing nights and events in order to connect the Door Peninsula Astronomical Society with learners of all ages. Synopsis: 2019 will be the year of space-themed programming at the Spring Green Community Library! We will incorporate STEM and space themes into our regular library programming from March to November of 2019. This will include themed storytimes, movie screenings, and monthly Lego/Minecraft club challenges. With additional funding, we will expand our program offerings to include guest speakers from the field, Mars Rover check-ins, and one additional special program per month. Each program and event will include a literacy tie-in such as a display of books on the subject available for check out, a story read out loud, or videos that enhance the program’s content. Synopsis: July 20, 2019 marks the 50th anniversary of the Apollo 11 mission when Neil Armstrong and Buzz Aldrin became the first people to step foot on the moon. The Transportation and Logistics Research Center proposes to hold an educational celebration of the event on the UW-Superior campus. The objectives of the program are to bring together the community to celebrate space travel, inspire future generations to pursue careers in the aerospace industry, educate attendees about Wisconsin’s robust aerospace industry and create awareness of what inventions impacting our daily lives resulted from the initiative to land on the moon. successfully include hands-on biotechnology content in their classes. Specific to space science, teachers will learn about NASA resources and projects that utilize biotechnology and how to share that information with their students. and educate future STEM professionals, improving the STEM pipeline, as well as to provide information essential to fostering a scientifically literate population. The BTC Institute will build on the success of our 2017 pilot, doubling class size to 16 to teachers July 9-11, 2018. Curriculum will be designed and refined to provide middle school teachers with the background information, lab-based training, and materials required to successfully include hands-on biotechnology content with their students. Specific to space science, teachers will learn about NASA resources and projects that utilize biotechnology and how to share that information with the diverse student populations that they teach. Synopsis: The NASA HUNCH Design and Prototype program takes small problems from astronauts on the International Space Station and has high school teams create solutions to those problems. Synopsis: Enterprise In Space holds teacher development workshops throughout the year for K-12 teachers in Wisconsin to help provide tools and plans for incorporation into their local classrooms. We hold these events throughout the year in conjunction with Carthage College and Yerkes Observatory. We are seeking supporting funds to develop additional curriculum and materials to support the teachers. Synopsis: Biotechnology: The Basics and Biotechnology: Beyond the Basics are week-long, intensive summer course offered by the BTC Institute whose purpose is to assist teachers in their efforts to engage and educate future Science, Technology, Engineering and Math (STEM) professionals, improving the STEM pipeline, as well as to provide information essential to fostering a scientifically literate population. Synopsis: The BTC Institute will pilot Biotechnology: The Basics June 14-16, 2017 to assist middle school teachers in their efforts to engage and educate future STEM professionals and to raise the level of interest in space-related science. Synopsis: Through the building of a Van’s RV-12 flying aircraft, the STEM Aviation Club provides Central High School students with a unique venue to develop knowledge and skills in the area of STEM. Synopsis: The Mission of Aviators By Design is to Encourage the Next Generation to Explore, Learn and Discover Opportunities in the World of Aviation. To promote STEM education, Flight Safety and Flight training with classroom and hands-on experience. Synopsis: Crossroads at Big Creek will offer teacher education and public outreach programs pertaining to the electromagnetic spectrum in order to increase knowledge of and interest in the STEM disciplines. Synopsis: Understanding Engineering Design Transforms to Engineering Thinking is an experience intended to increase educators knowledge of engineering jobs, design, and thinking. This program helps to instill the basic engineering principles needed in order to implement engineering and design concepts in classrooms as mandated by the Common Core State Standards. Synopsis: A week-long camp for Wisconsin students grades 5-10 to study Mars and design a future Mars community. Students create an exhibition with their 3D models for an imaginary colony on Mars. Synopsis: An intensive workshop focusing on providing first-hand rocket science activities to under represented 7-8th grade students in the Milwaukee area. Synopsis: Challenges students to design and build underwater vehicles that share many aspects of spacecraft and space operations thus giving them a unique experience in both marine and spacecraft engineering. Synopsis: The mission of Aviators by Design, Inc. is to reach and recruit our youth and non-pilot public with a “fired up” and passionate introduction into the world of aviation. It aims to promote and teach STEM education as well as teach safety in aviation. Synopsis: Space Rocks is an advanced space camp (ages 11-13) emphasizing planetary geology sing the unique resource of the Driftless Area to guide students further along the STEM stream. Synopsis: Introduce learners of all ages to the STEM disciplines by providing continuing education classes for teachers, establishing a telescope loan program in local libraries, offering classes for retired adults, and hosting cross‐generational activities focused on interactive astronomy. Synopsis: Biotechnology: The Basics is a week-long, intensive summer course offered by the BTC Institute whose purpose is to assist teachers in their efforts to engage and educate future Science, Technology, Engineering and Math (STEM) professionals, improving the STEM pipeline, as well as to provide information essential to fostering a scientifically literate population. Synopsis: Bring space education to rural elementary classrooms, their teachers, and their families. Synopsis: We will continue to train astronomy educators in using planetarium software (Starry Night) and implementing two new curriculum units (Life Beyond Earth and Planetary Geology). Synopsis: Students fabricate real-world products for NASA as they apply their science, technology, engineering and mathematics skills as well as learning to work in teams and think creatively. Synopsis: Offer a series of outreach programs to field test space-related activities for K-3 children and offer graduate level continuing education class for teachers in order to increase content knowledge of astronomy. Synopsis: Students map a specific object in a three-dimensional space preparing for the concept to be tested in a zero gravity environment. Synopsis: Biotechnology: The Basics and Biotechnology: Beyond the Basics are week-long courses offered by the BTC Institute to assist teachers in their efforts to engage and educate future STEM professionals. Synopsis: Provide teachers Next Generation Science Standard based lessons with Engineering students to model the design process and build STEM skills while investigating food production for Earth and Space. Synopsis: We will train astronomy educators to use the dark skies of the KVR to inspire and inform school groups about astronomy and space exploration by offering nature programs and star parties. Synopsis: Elementary teachers will participate in classes and workshops to become familiar with New Generation Science Standards so they are better able to revise astronomy curricula for area school districts. Synopsis: WomenSoar is a mentor program introducing high-school aged girls to women professionally employed in aerospace careers in hopes of challenging and inspiring teens to consider these opportunities. Synopsis: From the myth of Icarus and Daedalus to the reality of the Wright Brothers, the excitement of human flight is inspiring! The High Flyers program at Lamar brings the freedom of the sky to earth! Synopsis: Taught by aerospace professionals, workshop provides K-12 educators skills with rocket design, & flight to promote core mathematics required for rocket science, physics, propulsion engineering, & STEM. Synopsis: Biotechnology: The Basics and Biotechnology: Beyond the Basics are courses offered by the BTC Institute that provide teachers with background, lab training, curriculum and NASA resources. Synopsis: Space Week provides students and teachers with training, programming, resources, and hands-on activities about national space efforts and education/career opportunities in space-related fields. Synopsis: Provide stipends for middle school teachers for workshops and classes designed to increase knowledge and introduce activities to prepare the next generation for careers in the STEM disciplines. Synopsis: Science standards are being developed and Wisconsin is involved. A leadership team was appointed, asked to respond to the standards, help with implementation, and partially funded by Space Grant. Synopsis: The Elementary Rocket Launch proposes to stimulate an academic in STEM. Students will participate in activities of rocket construct and launch develop critical thinking and application skills. Synopsis: This is the fifth of twelve planned STEM spaceflight teacher workshops. These workshops offer award-winning approaches to teaching by incorporating “real world” applications into the classroom. Synopsis: Taught by aerospace engineers the Rocket Science Educator workshop will provide STEM materials to assist school in implementing rocket science into respective math or science curriculums. Synopsis: Biotechnology: The Basics and Biotechnology: Beyond the Basics are week-long teacher courses offered by the Biotechnology Technology Center Institute. Synopsis: Space Week provides students (Gr. 3-8) & teachers with training, programming, resources, & hands-on activities about national space efforts & education/career opportunities in space-related fields. Synopsis: K-6 teachers will participate in workshops and credit or non-credit classes designed to increase content knowledge and introduce age-appropriate activities pertaining to the solar system. Synopsis: The Lift-Off for Teachers and Youths (LOFTY) program at UW Oshkosh will help elementary educators and students develop the knowledge and skills to construct a water bottle rocket while promoting STEM. Synopsis: This is the third of twelve planned STEM spaceflight teacher workshops. These workshops offer award-winning approaches to teaching by incorporating “real world” applications into the classroom. Synopsis: Taught by aerospace professionals, Rocket Science for Educators targets K-12 teachers providing personalized training aimed at improved student STEM performance, & promote careers in aerospace. Synopsis: Biotechnology: The Basics and Biotechnology: Beyond the Basics will provide teachers with training to implement hands on biotechnology, and information about related NASA resources. Synopsis: Elementary teachers will develop confidence and content knowledge of astronomy by participating in professional education programs featuring experience-based learning. Synopsis: The EAA offers a new feature as part of its successful ongoing Space Discovery Week. Interactive Applets illustrate complex concepts and then allow students to make and test predictions. Synopsis: This is the second of twelve planned STEM spaceflight teacher workshops. These workshops offer award-winning approaches to teaching by incorporating “real world” applications into the classroom. Synopsis: This project will help Wisconsin physics teachers bring new views of the Milky Way Galaxy into their classroom by (1) providing them with posters from the most recent NASA effort to map the Galaxy with the Spitzer Space Telescope and (2) establishing a teacher workshop on methods of mapping the Galaxy, to be held as part of the Wisconsin Association of Physics Teachers meeting on the University of Wisconsin-Whitewater campus in October 2009. The workshop will include information on the history and current status of mapping the Galaxy (including an evening visit to Yerkes Observatory, where the spiral structure of the Galaxy was first discovered), an introduction to relevant astronomical databases (in particular the GLIMPSE survey), and a set of physics-based activities for students that demonstrate techniques astronomers use to map the Milky Way. Synopsis: Biotechnology: the Basics and Biotechnology: Beyond the Basics will provide teachers with training, background and curriculum materials so that they may implement hands-on biotechnology in their classrooms. Teachers will learn about NASA resources and projects that incorporate and utilize biotechnology, in order to help engage and train future STEM professionals and a scientifically literate population. Synopsis: The ECLIpSE project is focused on increasing the ability of science teachers within their first five years of teaching to implement science inquiry approaches to teaching. Additionally, the project will provide networking opportunities to improve retention of early career science teachers. Ten middle and high school teachers from Wisconsin will be selected to participate. The project includes a two-day workshop, two virtual follow-up sessions, and a final in-person meeting at the 2010 Wisconsin Society of Science Teachers conference. The project will use Earth and space science data from NASA sources as a context for conducting authentic science inquiry activities. Teachers will begin by engaging in authentic inquiry activities using the JPL Solar System Simulator. Then, they will participate in sessions designed to increase their understanding of developing science inquiry activities and implementing them into their instruction. By the end of the two-day workshop, participants will create an action plan for implementing science inquiry into their teaching. Two virtual follow-up sessions will be conducted to continue to build participants understanding of science inquiry and strengthen networking opportunities. The project will culminate at a meeting at the Wisconsin Society of Science Teachers conference. Synopsis: Through Educating Educators During IYA 2009, K-12 teachers will be offered a variety of professional education opportunities which will coordinate with and enhance the astronomy outreach programs at Crossroads at Big Creek. Synopsis: Space Explorers, Inc. plans to facilitate a one day workshop “To the Moon and Beyond: Lunar Expedition” on a Saturday during the 2009 fall semester. The workshop will be targeted for middle school educators, and will provide teachers with personalized training, better preparing them to teach various science concepts in their respective schools. Space Explorers has created this project to improve the quality of science instruction in Northeastern Wisconsin using interactive educational software. The teachers attending the workshop will receive a set of classroom activities which they will be trained to use with their students throughout the school year. By providing unique and authentic classroom activities, teachers can begin to utilize meaningful activities in their classrooms and improve student performance in the fields of science and mathematics. To assist schools in implementing their new curriculum resources, each participating teacher will receive access to Space Explorers universal program. The universal program includes access to Lunar Expedition, Mission: Mars, Asteroid Encounter, Suborbital Sojourn, Orbital Laboratory®, and K-3 Space®. Schools will be able to run Mars Explorer and the team-based simulations, implement inquiry-based interactive applets, and explore Space Library®. While the workshop will primarily focus on the Lunar Expedition program, all of these resources will be provided and covered in detail as part of the one day workshop. The requested financial assistance through the Wisconsin Space Grant Consortium is essential to the project’s overall success. This support will provide professional development, individualized instructional development tools, technical assistance, and user support for up to 20 participants and their colleagues from their respective schools. Synopsis: The Year 2009 has been designated as the International Year of Astronomy. My students will be involved in doing a variety of Astronomical Outreach during the year. Synopsis: The Elementary Rocket Launch Program (ERLP) proposes to stimulate academic interest in Science, Math, and Technology (SMT) and reinforce the student’s knowledge in these areas as it applies to the aerospace field. Synopsis: The Experimental Aircraft Association adds a new feature to its successful Space Week. Space Library, developed by Space Explorers Inc., is an interactive, on-line aerospace research encyclopedia designed to assist students to develop critical thinking skills. Synopsis: Space Travel Simplified - Part 1 is a teacher workshop that focuses on the history, math, science, and technology of spaceflight. This workshop offers a unique approach to teaching by incorporating “real world” applications into the classroom. Synopsis: The Wisconsin Aviation Hall of Fame (WAHF) is planning a series of events to celebrate Wisconsin’s Centennial of Flight, including the construction of a quarter-scale model “Warner” Curtiss Pusher similar to the one that first flew in Wisconsin in 1909. WAHF has teamed with EAA Chapter 60 of Beloit, Wisconsin, for the construction of the model in time for its unveiling at the Wisconsin Aviation Conference on May 4-6, 2009, in Eau Claire. The Beloit Convention and Visitors Bureau is also a partner in promoting the event and coordinating with local schools for developing in-service training with teachers to incorporate the Centennial of Flight in their student programs, including field trips to the Beloit Historical Society. The celebration will culminate the first week in November with a rededication of the Wisconsin Historical Marker commemorating Wisconsin’s first flight at its original site and a program at the Beloit Historical Society with a guest speaker covering this historical event. Throughout the year, WAHF will be making presentations across the state on the Centennial covering significant aviation events and individuals who played key roles in our state’s and country’s progress in aviation and space initiatives. 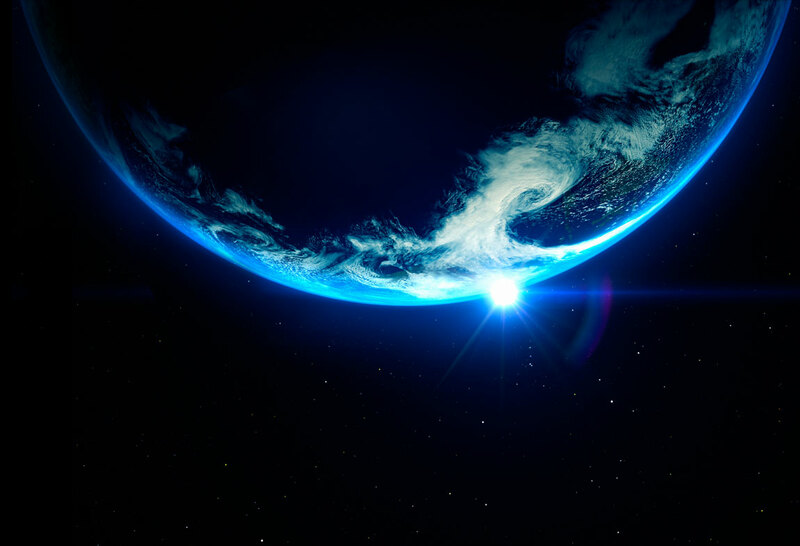 Synopsis: “Journey to Planet Earth” is a 5-part public education course and a 3-part teacher training workshop on the Earth, its relationship with the cosmos, the science of climate change, and how we can meet those changes in the coming decades. Synopsis: Our project includes a science experiment to reclaim energy generated from the flight of a rocket. We selected our experiment as the country continues to be challenged by our dependency on fossil fuels and foreign oil. Synopsis: Participants receive hands on aerospace activities for their classroom, instruction in the physics of flight and human factors involved in aviation as well as experience flight by riding in a Civil Air Patrol aircraft. Synopsis: Two week long courses will provide teachers with training, background and curriculum materials so that they may implement hands-on biotechnology in their classrooms. Synopsis: This workshop will allow teachers at various grade levels an opportunity to enhance associated curriculum offerings at their local school districts regarding aerospace and space science. It will also help new service teachers or those that have not yet used aerospace ideas and concepts ease some of the workshop information presented in to their teaching from a science, math, or technology perspective. Synopsis: University of Mars-Richland will increase grade 4-12 student exposure to space-related sciences. Progressive coursework will inspire, train, and support students to succeed in tracks of study that prepare them to pursue space related fields. Synopsis: This project targets Door County teachers who participate in classes and workshops pertaining to space-related science. We believe that when elementary school teachers develop confidence and content knowledge of astronomy by participating in experience-based activities, they will increase the quantity and quality of space-related instruction at the elementary level. The target audience includes those elementary teachers who have little or no experience or prior interest in astronomy for these people are in the position to either inspire or inhibit learning of young people. Synopsis: This program will provide students and teachers with the knowledge and tools necessary to transition from a simple but effective use of Google Earth imagery to a more complex and rigorous science involved with satellite image analysis. Synopsis: This workshop will equip teachers with the tools and knowledge to lead their students backward and forward in time using free visualization and modeling software combined with global satellite data to investigate meteorology, geology and climate on Earth and other planets. The workshop will include a session on global climate change that emphasizes Earth’s unique place in our solar system. Synopsis: These are teacher workshops that focus on the history, math, science, and technology of spaceflight. These workshops offer a unique approach to teaching by incorporating “real world” applications into the classroom. Project Title: A Celebration of Life XII: Invention! Synopsis: A partnership between the BioPharmaceutical Technology Center Institute and the African American Ethnic Academy, “A Celebration of Life XII: Invention!” supports the continued development of African American and other students’ interest in science, including space-related science and technology, providing them with the tools for success in school. A long-term goal continues to be increasing the number of underrepresented students who enroll in and successfully complete high school science courses and who may eventually choose to pursue scientific careers, including those in space-related science and technology. Hands-on activities, in outdoor, classroom, and laboratory settings, are designed to engage students’ interest, enhancing their understanding of invention for earth and space, through science and cultural connections. Visits from guest speakers and field trip experiences further enrich the program. In addition, students will gain important science skills and self-awareness as they explore, design, implement, and present their own inventions. Synopsis: Available to educators from primary through high school, the “Aerospace Workshop for K-12 Educators” will offer teachers at various grade levels an opportunity to enhance any curriculum offerings at their local school districts regarding aerospace and space science. Additionally, it will help those teachers new to the teaching field or those who have not yet used teaching from a science, math, or technology perspective. Synopsis: Unity Elementary School’s brave young astronauts will explore the mysteries of the solar system and the science behind air and space travel. Students will learn how scientists study the planets and stars and what kinds of tools are used for space exploration. Children will discover not only how astronauts get into space, but also how they live and work once they get there. Synopsis: Making ACES engages students through the opportunity to construct an aircraft from raw materials. Students engage more in their current STEM courses, are inspired to take additional related coursework, and learn about career opportunities in the aerospace industry. Synopsis: The University of Wisconsin-Richland will work in cooperation with the Richland Area School District, the Richland County Cooperative Extension, and area organizations to develop a sustainable aerospace outreach and education program. The October Skies project is an innovative program designed to establish a cross-disciplinary continuing education space-science program. The project intends to increase knowledge and awareness about the space-sciences across generations. Family-friendly courses will incorporate space-sciences into courses across the disciplines. Classes and public talks will reach across the disciplines of literature and the arts, physics, chemistry, history, and astronomy. Elements of space-science will be incorporated into the curricula of each presentation so as to increase the number of general citizens who are exposed to the space-sciences and increase their knowledgebase of the space-sciences. An important aim of the project is to increase knowledge and interest in space-science related fields in the K-12 and precollege student population. The October Skies project will build on UW-Richland’s efforts of their already successful precollege program to reach out to student demographics that are underrepresented in the space-science field. Synopsis: The purpose of this project is to educate K-12 students and teachers in Juneau County about aerospace, advanced manufacturing, and robotics opportunities utilizing a state-of-the-art aerospace research and development facility. Synopsis: Making A.C.E.S. engages students through the opportunity to construct an aircraft from raw materials. Students engage more in their current S.T.E.M. courses, are inspired to take additional related coursework, and learn about career opportunities in the aerospace industry. Synopsis: This workshop will equip science teachers with the knowledge and skills to teach their students exciting 21st century satellite data applications. Along with several lectures by satellite experts, we will work through a web-based course in satellite meteorology developed at the Cooperative Institute for Meteorological Satellite Studies (CIMSS). Participants will engage in hands-on activities to identify cloud types, weather phenomena and geological features in satellite imagery. Lodging is provided to all educators from outside of Dane County and college credit is also available. All participants will receive a CD version of the Satellite Meteorology course to use in their classrooms. Synopsis: Several outreach programs in physics, astronomy and optics will be presented to school groups and the general public in order to spark an interest in and an appreciation of science. Project Title: A Celebration of Life ZI: Investigation! Synopsis: A partnership between the BioPharmaceutical Technology Center Institute and the African American Ethnic Academy, “A Celebration of Life XI: Investigation!” supports the continued development of African American and other students’ interest in science, including space-related science and technology, providing them with the tools for success in school. A long-term goal continues to be increasing the number of underrepresented students who enroll in and successful complete high school science courses, and who may eventually choose to pursue scientific careers, including those in space-related science and technology. Offered in Summer 2006, the two-week session (July 10-21) is for middle school students. Hands-on activities, in outdoor, classroom and laboratory settings, are designed to engage students’ interest, enhancing their understanding of the microorganisms on earth and in space, through science and cultural connections. Visits from guest speakers and field trip experiences further enrich the program. In addition, students will gain important science skills and self awareness as they explore, design, implement and present research projects involving microorganisms. Synopsis: Crossroads at Big Creek and the Door Peninsula Astronomical Society will use this grant to fund the position of Astronomy Outreach Coordinator and to underwrite experienced-based outreach programs for learners of all ages. This spring, we will build an astronomy outreach building near the Leif Everson Observatory (see www.doorastronomy.org) Once the astronomy outreach building is complete (hopefully by September 2006), the Crossroads and DPAS will offer teacher training, school programs, adult classes, and outreach events designed to raise the level of the general public’s knowledge of space and space-related science, to interest and recruit pre-college students in the pursuit of space-related science, and to technology and its potential benefits, and to encourage K-12 students in space-related pursuits. Synopsis: This project is designed to develop and increase student, teacher, and community knowledge about our universe and space exploration. We have recently been awarded funding to purchase a portable planetarium for the district. This project would be a collaborative project to facilitate training and curriculum for teachers as well as additional resources to allow for interdisciplinary involvement. This would be made possible through the use of a wider variety of cylinders available for the planetarium. Synopsis: The purpose of this grant is to enable The Einstein Project to enhance three existing space-related units with the addition of high quality educational videos. Planets would be added to the Kindergarten through 3rd grade Solar System course, Flight would be added to the 3rd grade Science of Flight course and Weather would be added to the 1st grade Weather course. All three of these units are popular and sought after by educators. In the 2005-2006 school year alone, over 6,000 children utilized these units in their classrooms. Synopsis: To develop a standards-aligned curriculum to support the impact of its planned SpaceShipOne exhibit, meeting the space related educational needs of local and regional schools. Synopsis: Satellite meteorology provides scientists and educators with exciting tools for investigation, inquiry, analysis and stewardship. This workshop will equip teachers with the knowledge and skills to teach their students about exciting developments in satellite technology. Participants will engage in hands-on activities to identify cloud types and weather phenomena in satellite imagery, listen to several presentations by satellite experts, and work through a course in satellite meteorology developed at the Cooperative Institute for Meteorological Satellite Studies. Synopsis: Two or more teachers from southeastern Wisconsin will attend a two week institute at Yerkes Observatory entitled Planets and Moons. The teachers will receive a stipend and teaching materials that will be used during the workshop and for teaching during the school year. Synopsis: Take Off With Rockets, Robots & Research offers teachers from grades 4-12, inquiry based instruction and exciting piloted activities through principles of aeronautics and concepts in rocketry, robotics and space travel. The project is designed as an approved graduate course offered to a wide range of teachers at the Sally Ride Academy in West Bend in July of 2005. Teacher participants in Take Off With Rockets, Robots & Research learn to apply student generated research and student design team approaches. The course emphasizes instructional strategies using problem solving, critical reasoning and team building skills. Science, mathematics and technology teachers may elect to enroll in the course, but a wider range of teachers will be actively recruited. Urban minority teachers or teachers with a high number of minority students will be afforded financial incentives and transportation options to attend. Project outcomes and deliverables will be disseminated to an expanded educational community. The project goal is to add enriched concepts, inquiry, action and fun to space science learning. Synopsis: This project offers hands-on instructional strategies in space science for mixed grade level interactive groups of students. Student generated learning and research is emphasized. Learning and retention is ensured during Space Partners in that the older students plan, prepare and teach younger students. The younger students are motivated to listen and learn from the older students. A team consisting of an eighth grade technology education teacher, eighth grade science teacher, a fifth grade classroom teachers and a second grade classroom teacher collaboratively design new curriculum and active assessments, develop connections to standards, technology, and community resources. Synopsis: This project engages and inspires students through the opportunity to construct a full-scale aircraft from raw materials. Students will develop mathematical, vocational and science skills while increasing confidence in their ability to complete a long-term, complex project. The aircraft will be constructed under the guidance of a teacher, Experimental Aircraft Association Technical Counselor, and FAA certificated Airframe & Powerplant mechanics. Participation in the project will engage students in their current STEM courses, inspire additional related coursework, and promote career opportunities in the aerospace industry. Synopsis: Satellite meteorology provides scientists and educators with exciting tools for investigation, inquiry, analysis and stewardship. This workshop will equip teachers with the knowledge and skills to teach their students about exciting developments in satellite technology. Synopsis: Participating students will experience science education, research, and modern technology firsthand at this workshop. We emphasize hands-on activities, numerous filed trips and ample one-on-one interaction between students and scientists. Synopsis: From the myth of Icarus and Daedalus and their flight to freedom to the reality of Orville and Wilbur Wright who flew into history at Kitty Hawk, the excitement of human flight has inspired people for ages. The No Child Left Behind Act of 2001 dictates the proven instructional practices must be used in the classroom. Synopsis: The Science of Flight is a hands-on, inquiry-based science unit developed jointly by The Einstein Project, the Experimental Aircraft Association and the Oshkosh Charter Schools. The unit combines a study of the four forces of flight (lift, thrust, drag, and gravity) and the history of flying with hands-on activities designed to promote the growth of critical thinking skills in elementary school children. Great Lakes Spaceport Education Foundation Inc.
Briley, M. / Fencl H.